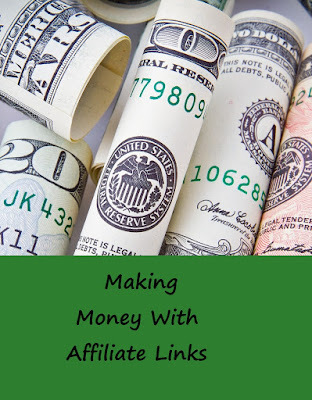 When you read the "How to Make Money Blogging" books that are readily available with a Kindle Unlimited subscription, one source that most mention is affiliate links. Basically affiliate links allow one customer to earn money by recruiting another customer. In order to get people to recommend them to their friends, and to get bloggers to write about them, companies offer rewards to those who get other people to sign up via unique links and often give the new customers a bonus as well. This week I'm going to share my affiliate links with you and let you know what you get for using them, and what I get for referring you. Robinhood: Brokerage offering free stock, option and crypto trades. Use this link and we each get one free share of stock. Webull: Another brokerage that offers free stock trades. Read my review. They too offer each of us a free share of stock if you use this link. Motif: A brokerage that specializes in offering baskets of stocks known as "motifs". Using this link gets you three months of their premium service, and I get the same. My review. M1 Finance: This broker also specializes in offering collections of stock or ETFs, which they call "pies". This link gets both of us $10 to invest. Read my review of M1 Finance. Dia&Co: A styling service for plus-sized woman. This link gets you your first Dia & Co. box with no styling fee (usually $20), and I get one with no styling fee too. That's nice because if I don't like what's in the box, back it goes. I wrote about them here and here. Stockpile: Buy stocks by the dollar, not the share. Each trade is only 99 cents. This link gets both of us $5.00 to invest. Here is my review. Personal Capital: This robo-advisor offers free investment tracking as well. Sign up using this link, and then link a qualified investment account and we both get $20. You don't even have to use their paid services--and I like the way they analyze my investments. Here is my review. Ipsy: They send you a make-up case every month with five products in it, usually sample-sized. Its a fun cheap splurge. I get referral credit, and unfortunately you don't get anything but make-up. So, which of my links are you going to use today? Money for you, money for me, what could be better?